We understand that choosing an experienced criminal lawyer is an important task; after all, we are all that stands between you and the authorities. Our team of solicitors are available for a free initial consultation. Call 55800 120 to book yours. By the end of the initial consult, you will have a clear understanding of the fees that may be involved in your matter. We note that we operate on fixed-fee basis. If you choose Gatenby Criminal Lawyers to act on your behalf then we will provide you with the security of a fixed fee quote for goal-orientated stages of your matter. We believe in providing the best possible representation and legal services in a cost-effective manner. We offer a choice and flexibility. Often we can appear as solicitor advocates and reduce the extra costs associated with the criminal representation. From the first appointment, we will explain the Court process to you and thereafter will keep you informed of your matter’s progress. Because criminal law is all we do, we can provide you with the certainty of an affordable criminal lawyer at a fixed fee. We will discuss our fees with you at our initial appointment. If you are unable to fund our legal fees, you may be entitled to Legal Aid funding. We can assist you with these forms and lodge on your behalf. 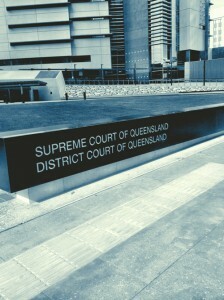 Gatenby Criminal Lawyers are a Legal Aid Queensland preferred supplier. Simply bring your financial documents with you for your first appointment and we can provide the legal aid application for you to sign while you’re in our office. Contact our office to find out more and book your initial consult.